Heals grief and clears it from the emotional body. Brings inner peace and the ability to accept and release loss and emotional pain. Increases self-forgiveness, forgiveness of others. Increases the awareness that the body is only temporary and a small part of the life of the soul. Opens conscious connection between the astral body twin, the Light Body and the over-soul. Encourages acceptance which allows the return of joy and the feeling that "it's okay". Apophyllite has a tetragonal crystal system. It is in the mineral class of phyllo or sheet silicates that contain water and are formed hydro-thermally. Since it has such a high water content, it conducts energy much more than many of the other sheet silicates. Apophyllite colors range from a very bright clear white to pale yellow and a blue-green. The most common forms are the clear to white with beautiful pale aqua crystals interspersed. Apophyllite is best used during meditation. Its small groups of crystals often appear to be plant-like making them pleasant to focus upon when used in its druzy form. 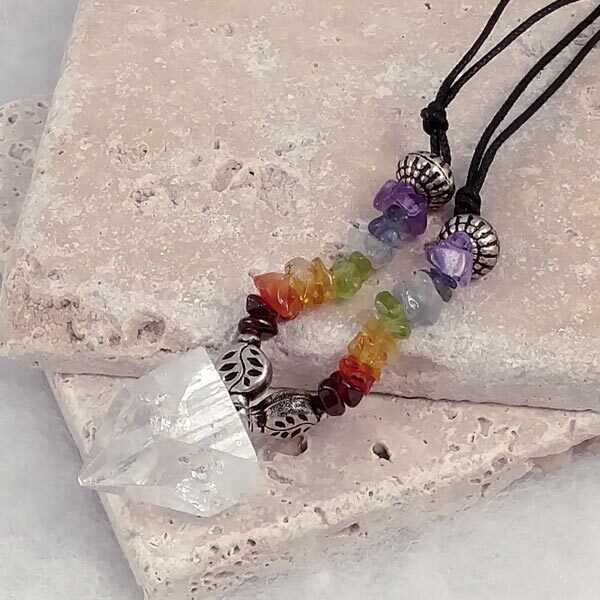 When using it in the form of a larger crystal tip, it is quite beneficial to place on the throat OR the third eye chakra. Apophyllite encourages a calm attitude, tranquility and honesty. It helps us to be open and show our true selves without hiding anything. It removes pretenses, reserves or a bad concience. Apophyllite helps to reduce fears, inner pressures and feelings of apprehension. It will assist in overcoming anxieties, worry and uncertainty. 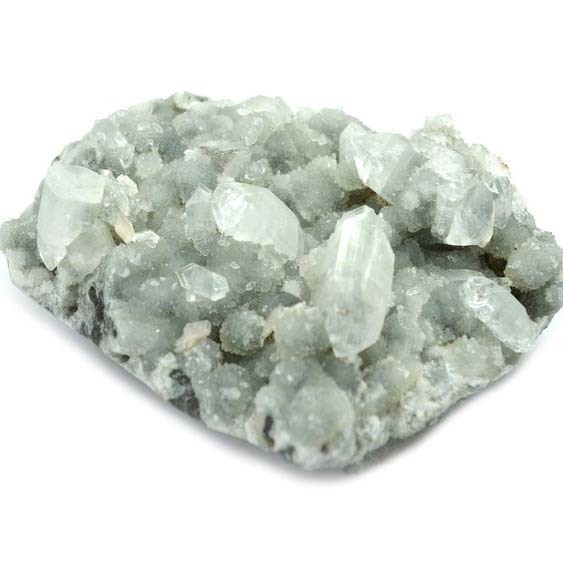 Apophyllite provides a saving light during times of great stress or pressure. It assists in ridding blocks of negative thoughts and, most importantly, helps to rid the thought habit of wanting things. Apophyllite helps to heal respiratory problems, particularly asthma. It can stimulate regeneration of the skin and mucous membranes, the activity of nerves and helps with allergies. Apophyllite has special affinities with Capricorn, Aries and Scorpio. Its Energy is Magnetic, its element is Earth and its planets are Saturn and Mars. Apophyllite has only been known since the beginning of the nineteenth century so there is not much on how it had traditionally been used. In Mexico it has been used to aid those who perform fire walking. 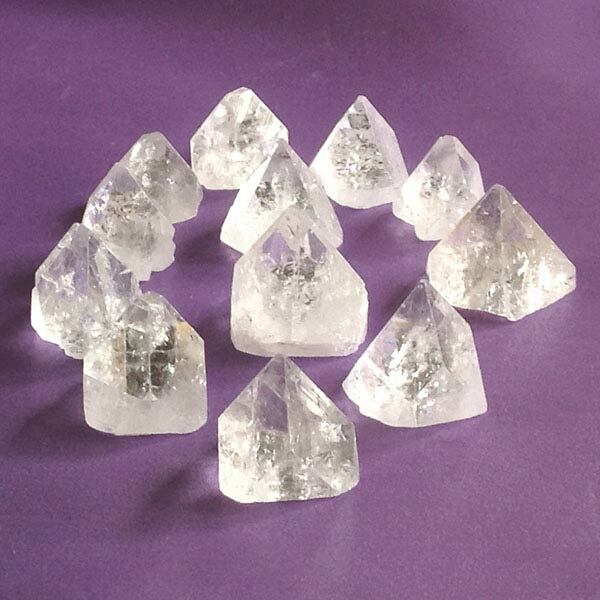 The white Apophyllite crystals have been used to create a conscious connection between the physical and spiritual realms to facilitate astral travel and to stimulate intuitive vision.